Here's some of my improv endeavors from the before times up till nowish. Dog & Friend Dog is the improv duo of myself and my writing partner Brian Huther. We started performing together in Kansas City in 2014 where our ultra-quick and absurd "Gamebox" format earned us 5 consecutive wins at the Underground Throwdown comedy competition at the Kick Comedy Theater. In the years since we've gone on to experiment with several formats, often incorporating music, crowd work, multimedia, physical props, or anything else we think we probably shouldn't do in an improv show. We're both currently living in Chicago. We did dozens of shows back in KC and have also performed at DuoFest in Philedelphia and as guests at Second City. Other invitations have included the Out of Bounds Comedy Festival and the San Fransico Improv Fest, but we couldn't go to those because Brian had "a thing" or whatever. We produced a semi-autobiographical* web series called Dog & Friend Dog, which paved the way for our full fledged comedy channel Friend Dog Studios, run by us and Seth Macchi. 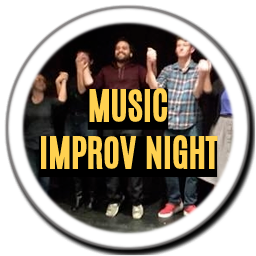 Music Improv Night is a long-standing tradition of, well, what it sounds like. It's not quite a class, it's not quite a troupe, it's more like a club - a club for people who didn't know they needed to be in the club until they found themselves there. I auditioned for MINt in July of 2017, and from there was placed onto one of three teams that performed various long and short form musical improv every Wednesday night at MCL. Huge shoutout to my friends on the unforgettably named team The Lion, The MINt, and The Wardrobe, and to our coach Ryan Cashman. Let's keep it rolling! The KC Improv Company has been voted Best Improv/Sketch in Kansas City by Pitch Magazine for four years in a row. I was honored to be a part of their ranks, serving as performer, producer, format director, teacher, and finally as Artistic Director; stepping down only in order to make my move to Chicago. In my time as Artistic Director I oversaw a cast of about 35 producing 5-8 shows with various formats each week. 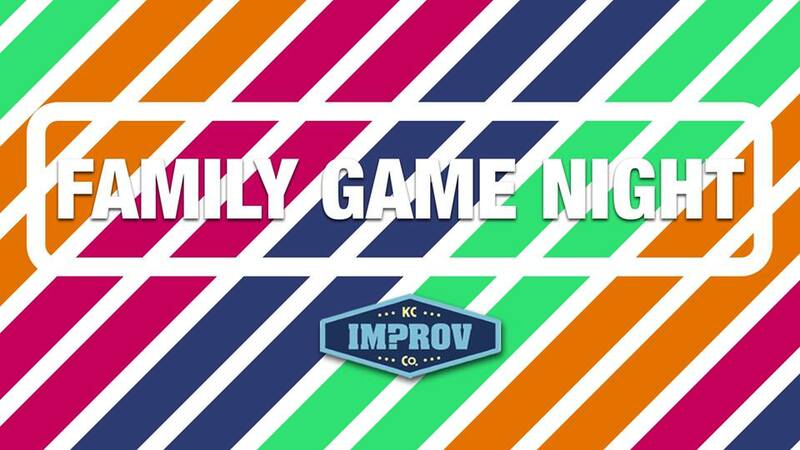 From Shakespeare to musicals to murder mysteries to good old fashioned short form, Harolds, and sketch, the KC Improv Company is committed to bringing its audience a creative range of entertainment. Below are some promotional graphics from a few of the shows we worked on in my time as AD. Business of Otters is a troupe of four college buds (Andy Perkins, Ben Auxier, Joshua Gleeson, and Michael Hudgens) gleefully doping around in what we call "basement-prov," a style in which anything goes as long as its playful and fun. We were the first troupe ever to become 2-time winners of the Improv Thunderdome competition in Kansas City, and has performed at multiple festivals around the country. So. Yanno. Kind of a big deal, MOM. For booking information please email ben.d.auxier@gmail.com.